ACM SIGGRAPH  has announced the selection of Elliot Kotek, co-founder of Not Impossible Labs, as the keynote speaker at SIGGRAPH 2014 , the 41st International Conference and Exhibition on Computer Graphics and Interactive Techniques, 10-14 August 2014 at the Vancouver Convention Centre. 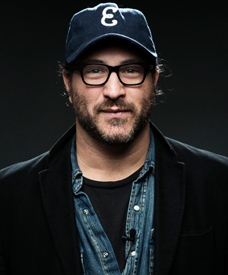 The current content chief and co-founder of Not Impossible Labs, and editor-in-chief of Not Impossible Now , Kotek is also the founder and editor-in-chief of Beyond Cinema and the former editor-in-chief of both Moving Pictures and Celebs.com. Not Impossible Labs is comprised of thinkers and doers with a mission to transform ideas that once seemed impossible to possible. SIGGRAPH 2014 will bring thousands of computer graphics and interactive technology professionals from six continents to Vancouver for the industry’s most respected technical and creative programs focusing on research, science, art, animation, music, gaming, interactivity, education, and the web from Sunday, 10 August through Thursday, 14 August 2014 at the Vancouver Convention Centre. SIGGRAPH 2014 includes a three-day exhibition of products and services from the computer graphics and interactive marketplace from 12-14 August 2014. More details are available at the SIGGRAPH 2014  website or on Facebook  and Twitter . 3 Comments To "SIGGRAPH 2014 Selects Not Impossible Labs Co-Founder Elliot Kotek As Keynote Speaker"